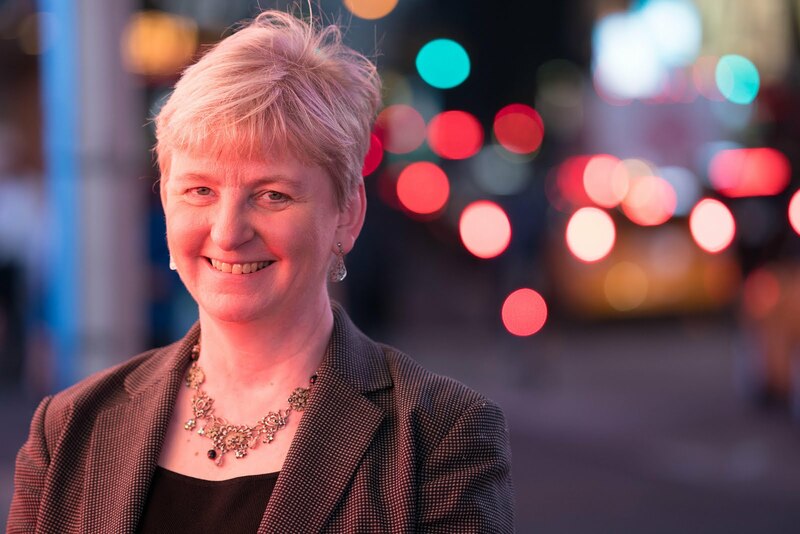 Screen Actors Guild Foundation and BroadwayWorld.com have partnered for a filmed Conversations Q&A series to recognize and celebrate the vibrant theatre community in New York City and the actors who aspire to have a career on the stage and screen. Please join us for a career Conversations with 2015 Tony NomineeMichael Cerveris currently starring in Fun Home on Broadway. Fun Home received 12 Tony Nominations Including Best Musical! Moderated by BroadwayWorld.com's Richard Ridge of "Backstage with Richard Ridge!" Michael Cerveris recently received his sixth Tony Awardnomination for his role as Bruce Bechdel in the Broadway production of Fun Home based on Alison Bechdel’s graphic novel memoir of the same name.Previously, Cerveris received a Tony Award for his portrayal of John Wilkes Booth in Assassins, and nominations for his roles in Evita,LoveMusik, Sweeney Todd, and The Who’s Tommy. On screen, Cerveris has appeared in films and television series including The Good Wife, Treme, and Fringe. In addition to acting, he has recorded two solo albums, Dog Eared and the upcoming, Piety. His country band Loose Cattle recently released their live debut record, North of Houston. I wasn't expecting much more than getting to hear excellent Gershwin tunes. 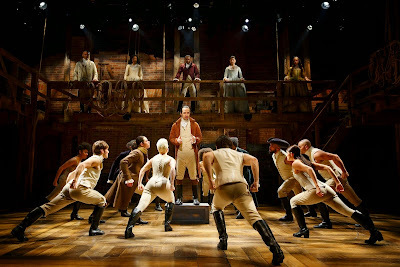 I came away thinking I had just experienced one of the best musicals I ever have seen on a Broadway stage. 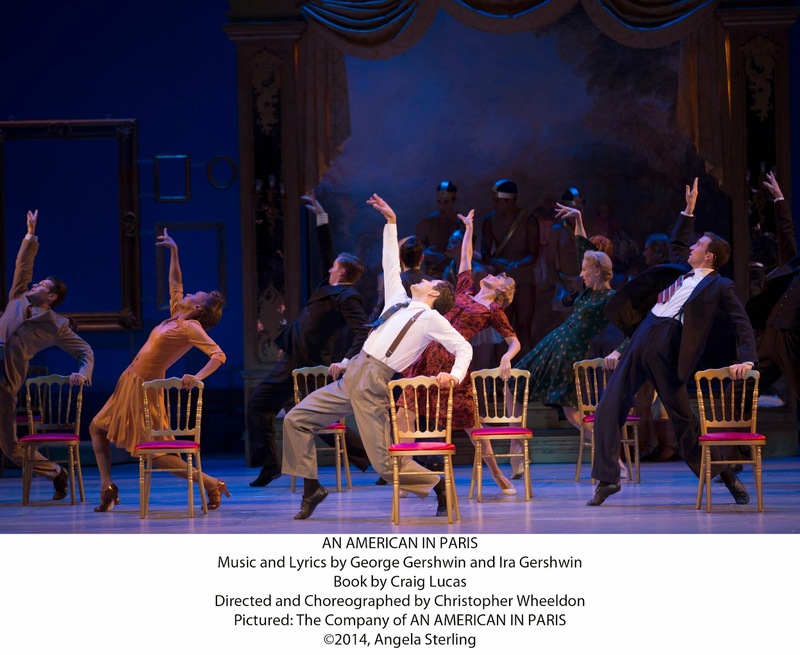 An American in Paris, based on the 1951 motion picture starring Gene Kelly and Leslie Caron, brings a fresh, modern feel to the glorious old-fashioned musical and has the audience saying, "Oooh, la la!" Christopher Wheeldon, artistic associate at England's Royal Ballet, makes his Broadway directing debut and also choreographs this breathtaking show, which looks like a works of art. Within 10 minutes, I knew I was watching the likely Tony Award winner for choreography (and it is, of course, nominated). Dance is storytelling here. Whole scenes, wordless, are communicated through dance and movement which can include something as complicated as ballet or as simple as someone dancing a prop onto the stage. It's amazingly staged and blew me away -- and with all of the excellent theater I see, that usually is a sign that something is VERY, VERY good indeed. Wheeldon;s direction is genius as well as he takes unconnected scenes happening simultaneously on stage and somehow connects the participants. It's exciting and riveting stage craft. Craig Lucas (The Light in the Piazza) gets the task of writing the book and does an outstanding job of translating the light movie plot into a solid story that is propelled by the elements around it. Three men, artist Jerry Mulligan (Robert Fairchild, a principal dancer with the NYC Ballet, making his Broadway debut), singer Henri Baurel (Broadway vet Max von Essen) and a composer, Adam Hochberg (Brandon Uranowitz) become fast friends in post World War II Paris -- then, without realizing it, they all fall in love with the same girl, ballerina Lise Dassin (Leanne Cope, a Royal Ballet School grad also making a sensational Broadway debut). As you might guess, complications abound. Henri already is engaged to Lise, the choice of his parents, Madame and Monsieur Baurel (Veanne Cox and Scott Willis), who have protected the girl during the war and made it possible for her to follow in her famous ballerina mother's toe shoes. The heir to the family's textile business, Henri hides his true desire to be a musical entertainer (with a hidden reference to his homosexuality) from his parents. Jerry forms an alliance with wealthy American, Milo Davenport (Jill Paice), who becomes a supporter of his artwork and who wants a little more than paintings in exchange for her patronage. Adam, meanwhile, is unable to express his love for the beautiful Lise, who is hiding a secret of her own, except through his music. Ah, and then there are the George and Ira Gershwin lyrics and music adapted, arranged and supervised by Rob Fisher. “I Got Rhythm,” “‘S Wonderful,” “But Not For Me,” “Stairway to Paradise,” “Our Love Is Here To Stay," “They Can’t Take That Away” and orchestral music including “Concerto in F,” “2nd Prelude,” “2nd Rhapsody” and “An American In Paris" all sound as though they were written just for this story (with excellent orchestrations under the direction of Christopher Austin). The action plays out on fabulous sets designed by Bob Crowley (who also does the meticulously created costumes) that appear -- with the help of projections (designed by 59 Projections) and lighting (designed by the always excellent Natasha Katz) -- to be sketches and paintings leaping off Jerry's sketch pad or on exhibit in a museum. Fairchild and Cope dance magically and lend decent singing voices as well. It's S Wonderful, and absolutely delightful in every way. It's the "don't miss" of the season. An American in Paris has been nominated for 12 Tony Awards, including Best Musical. Other nominations, besides choreography are: direction, book, scenic design, costumes, orchestrations and the performances by Cope. Fairchild, Uranowitz and von Essen. An American in Paris mesmerizes at the Palace Theatre, 1564 Broadway, NYC. Performances are Tuesday and Thursday at 7 pm; Wednesday at 2 and 8 pm; Friday at 8 pm; Saturday at 2 and 8 pm; Sunday at 3 pm. Tickets are $47 - $147. 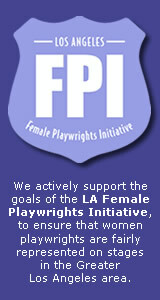 http://www.americaninparisonbroadway.com. -- God's name taken in vain (in a joking context). Really don't let this keep you away. 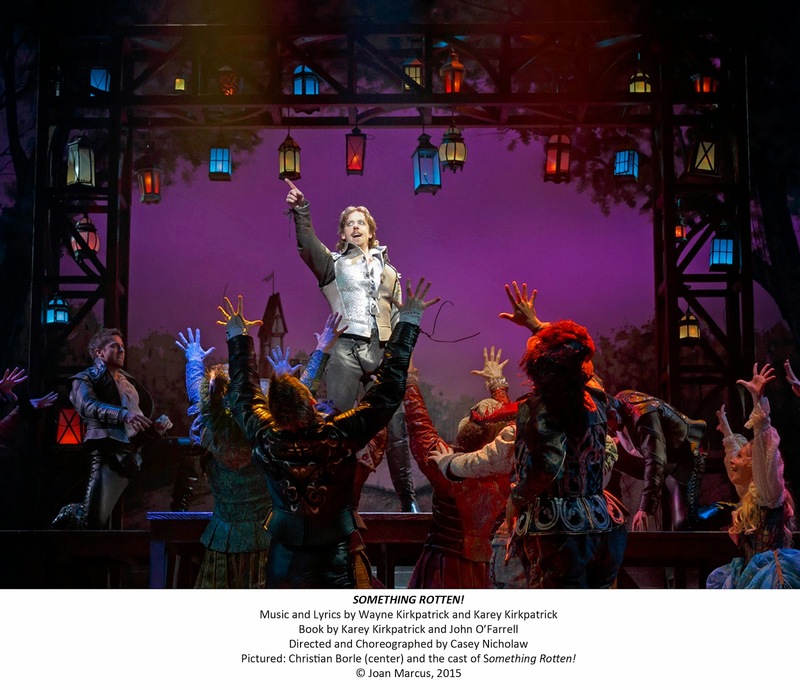 Broadway Theater Review: Something Rotten! Shakespeare's a rock star, but his closest rivals, the Bottom Brothers, have come up with a great new concept to battle his fame with all of those plays -- a musical! That's the zany concept behind Something Rotten!, the new hit musical conceived by brothers Karey and Wayne Kirkpatrick, who write the music and lyrics. Karey has written the music for some Disney films and Grammy Award winner Wayne has written for pop, country and Christian music stars. Karey teams with John O'Farrell, one of the United Kingdom's best know comic authors and script writers, for the very funny book. Kudos also to the marketing team, which prior to opening, displayed banners on the theater with pull-out quotes from the New York Times saying, "We Haven't See it Yet!" It's 1590 England, home of the Renaissance, and the theatrical troupe run by manager Nick Bottom (Brian D'Arcy James) and his poet/writer brother , Nigel (John Cariani), plan to produce a brand new play about Richard II! They were inspired by the success of their theatrical rival, Shakespeare (a hysterical Christian Borle) who made a killing with Richard III and now is the talk of all England. But blast! -- the bard decides to go back in time and writes his own version of Richard II, which of course, is a monster hit like everything else the swaggering, scream/faint-producing writer of iambic pentameter does. Facing economic collapse, especially when loan shark Shylock (Gerry Vichi) comes to collect his debt, Nick is desperate to find a way to provide for the troupe and his feisty wife, Bea (and energetic and amusing Heidi Blickenstaff), who offers to get a job. It's the '90s, but job opportunities for women still are a bit scarce for women in Elizabethan England, so Bea has to don a disguise to pass as a man. (Gregg Barnes designs the many costumes; Josh Marquette does hair and Melagros Medina-Cerdeira does makeup). For help, Nick consults the most famous fortune teller of the time, Nostradamus (Brad Oscar), to try to get a beat on what Shakepeare's most famous play of all time will be. He'll just produce it first! Nostradamus gets some images from the future and discovers something called a "musical" will be all the rage, where actors suddenly burst into song for no apparent reason and dance around the stage. Nick immediately sets to creating the phenomenon, but the visions Nostradamus gets are a bit sketchy resulting in bits and pieces of many musicals coming together in an extravaganza entitled, "Omelette, the Musical" (thanks to a mispronunciation of Hamlet.) Theater lovers will thoroughly enjoy the scrambled mess that brings to mind the villager's telling of the history of Joseph Smith's religion in The Book of Mormon with a bunch of tap-dancing eggs in the mix (Casey Nicholaw directs and choreographs). Meanwhile, there's a ridiculously funny concert given by Shakespeare in the park (what a concept!) where Borle excels at shaking his stuff and feeling the love while presenting his latest sonnet in musical form. Much mayhem ensues when Shakespeare goes under cover as an actor in the Bottom Brothers troupe. Something Rotten! is anything but. It's fresh and funny, with plenty of out-loud laughs and a couple of showstopping numbers (Phil Reno directs the music and provides vocal arrangements). 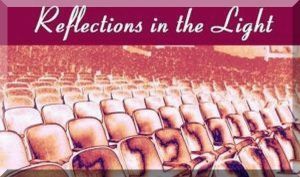 Nicholaw achieves spot-on performances from D'Arcy James, Borle and Blickenstaff as well as supporting characters like the comedic Peter Bartlett, as Lord Clapham, the Bottom Brothers' reluctant patron. The one place the director misses is in the miscasting of playwright Cariani (Almost Maine) in the role of Nigel, where "indeed, he does not fit" to quote the Bard. The musical is up for numerous awards, including Tonys for Best Musical, Best Direction, Choreography, Best Book, Score, Orchestrations (by Larry Hochman), Costumes, and the performances by James, Borle and Oscar. Something Rotten! proves that all the world's a stage at the St. James Theatre, 246 west 44th St., NYC. Performances are Tuesday and Thursday at 7 pm; Wednesday at 2 and 8 pm; Friday at 8 pm; Saturday at 2 and 8 pm; Sunday at 3 pm. Tickets are $37.00 - $142.00: http://rottenbroadway.com. The story of how Peter Pan came to be might feel like a lost boy in the shadow of all the other shows getting Tony Award nominations, but Finding Neverland can crow because it easily flies to the top of the list of this season's best musicals. With music and lyrics by Gary Barlow and Eliot Kennedy and book by James Graham (based on the film written by David Magee and the play The Man Who Was Peter Pan by Allan Knee,) Finding Neverland stars "Glee"'s Matthew Morrison and Kelsey Grammer (TV's "Frasier") in the tale of J. M. Barrie and the real-life boy who inspired Peter Pan, who has been loved by generations. Theater producer Charles Frohman (Grammer, who provides good comic relief -- especially when a reference is made to a 20th-century TV show) is hoping his favorite playwright, Barrie (Morrison), will come up with another hit. 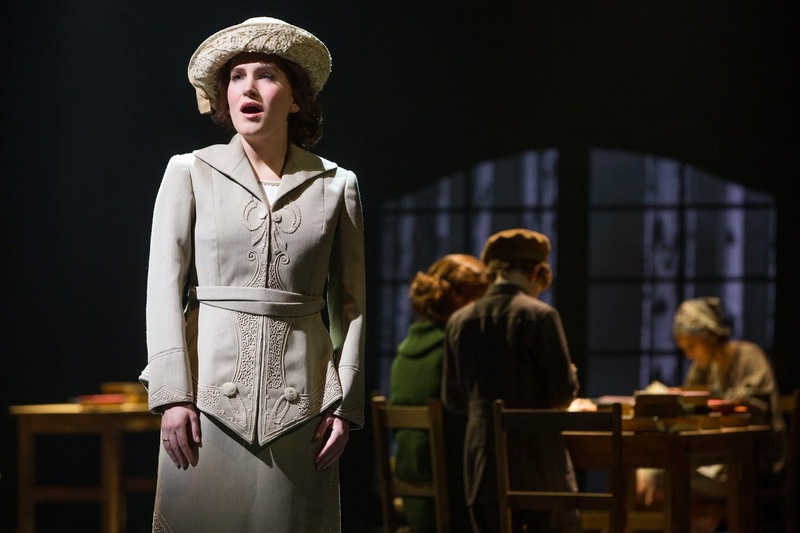 The writer, however, is uninspired, until he meets a widow, Sylvia Llewelyn Davies (Laura Michelle Kelly), and her brood of children: George, Peter, Jack, and Michael (the roles are shared by multiple kids). Barrie becomes a father figure for the boys, especially shy, brooding Peter. They play games (Director Diane Paulus expertly weaves threads of Peter's Pan's story around the main action) and Barrie finds himself spending more and more time with them and their beautiful mother, who is upbeat despite recent setbacks, her judgmental mother, Mrs. DuMaurier (Carolee Carmello) and her own declining health. To have faith is to have wings," she tells Barrie, lifting his spirits. Kelly melts hearts with "All That Matters," a ballad about having the strength to go on. Beautiful scenes of London designed by Scott Pask, projections by Jon Driscoll and expert lighting by Kenneth Posner help set the soft, magical mood (Illusions are designed by Paul Kiev with “Air Sculpting” by Diane Wurtzel.) In one brilliant scene, Sylvia and Barrie's shadows tell more of the story than their actions. Suttriat Anne Larlarb designs the turn-of-the-century costumes and Richard Mawbey designs hair and makeup. Sylvia's warm heart is a direct contrast with Barrie's cold, socially climbing wife, Mary (Teal Wicks), who turns elsewhere for affection. Barrie takes Peter's story idea and turns it into a new idea, with adult actors playing the parts of children and animals on stage (there's a large ensemble here with Paul Slade Smith and Josh Lamon standing out). Performances here, as well as singing voices, are excellent across the board. And the music (directed by Mary-Mitchell Campbell) is excellent, with several tunes standing out and annoyingly replaying themselves in your head for days and weeks (the way songs from a good musical should). Music Supervision/Dance and Incidental Music are by David Chase with Orhcestrations by Simon Hale and Vocal Design by Annemarie Milazzo. My favorite: "When Your Feet Don't Touch the Ground." The original Broadway cast recording will release on June 23. Mia Michaels of TV's "So You ThinkYou Can Dance" choreographs. The two-hour, 30-minute run time could use a trim -- I'd love to see the ending tightened and a rather creepy Peter Pan (played by Melanie Moore) at beginning and end cut altogether. His/her flitting about was distracting. Otherwise, it's an engrossing story (most of which I had not heard before) and vastly entertaining with the best darn fairy dust I have ever seen (illusions by Paul Kieve; air sculpting by Daniel Wurtzel and flying effects by ZFX., Inc.). There were a ton of smiling kids in the audience -- a good thing for Broadway. And there is a nice message about people being able to change. An American in Paris, Fun Home. Something Rotten! and The Visit shut Neverland out of a Tony Award nomination for Best Musical. It didn't receive any nominations at all, which is a bit puzzling, unless you understand the politics behind most of the Tony decisions.... 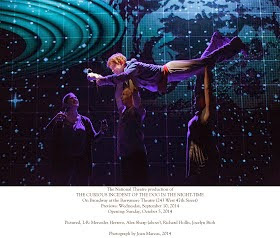 The show did receive some Drama Desk and Outer Critics Circle nods, however. Note: Australian actor Anthony Warlow will step in for Grammer in mid-July. An exact date will be announced shortly. Grammer will return to the production Sept. 13. 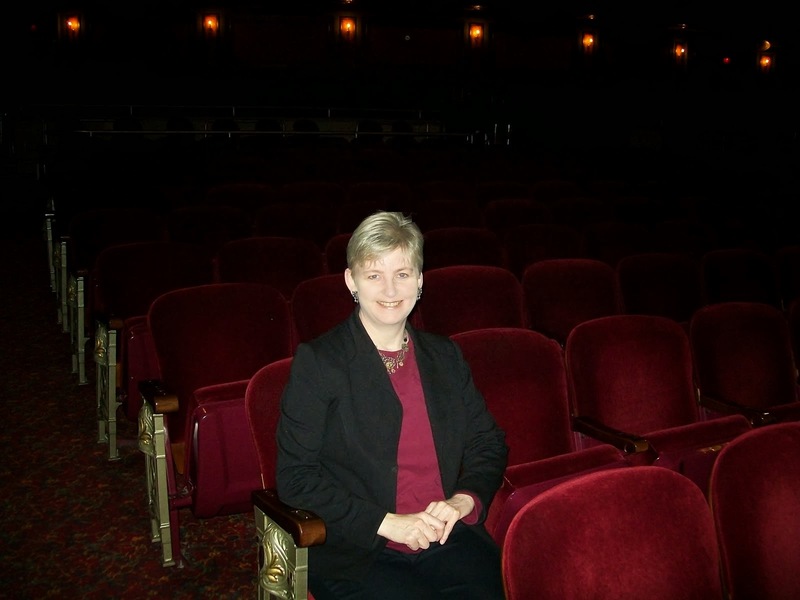 Full Disclosure: Music Director Campbell once was a pianist for a show I produced. Which is sweeter, love or revenge, asks the tag line promoting The Visit, the last musical of John Kander and Fred Ebb. My answer? It doesn't matter -- it's a Kander and Ebb musical and starring Chita Rivera in what could be her last Broadway role to boot. The plot hardly matters! The Visit's score has more than 20 musical numbers (in its breezy 95 minutes with no intermission) and offers strains of Kander's trademark sound as well as a piece that sounds like a section from Les Miserables. The cast, directed by John Doyle (Sweeney Todd; Company) is made up of something we don't see very often on a Broadway stage: a lot of older folks. Rivera at 82, offers a raspy singing voice and is joined by an equally raspy voiced Roger Rees, 71. The plot revolves around the return of very wealthy Claire Zachanassian (Rivera) to her struggling home town in Brachen, Switzerland, after many years away. Anton Schell (Rees) was the boy who abandoned her years ago to marry Matilde (Mary Beth Peil). He took over his father-in-law's shop and raised a family (his now-grown kids are played by played by Elena Shaddon, and George Abud). Claire went off, literally lost an arm and a leg -- I told you the story was odd -- but married many times and amassed a vast fortune. The townspeople hope she will share some of her money with them to improve their schools, hospital and police force. 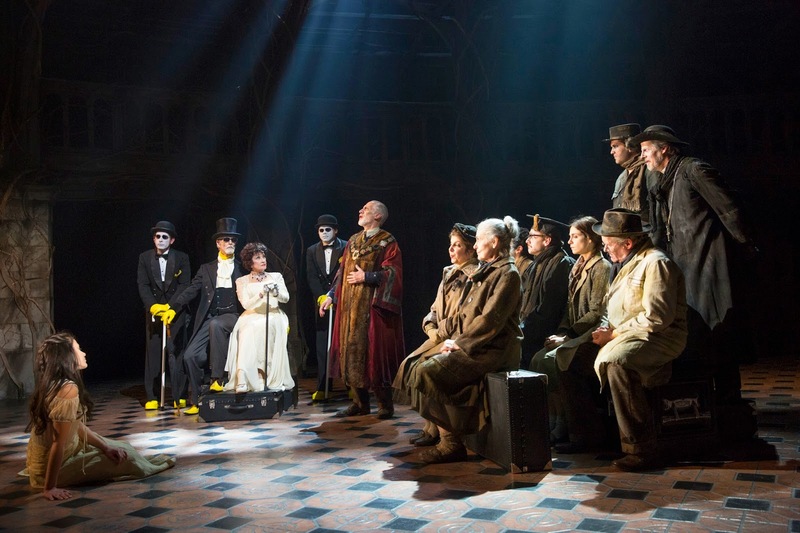 Claire arrives with a butler, Rudi (Tom Nelis) and two eunuchs named Louis Perch (Matthew Deming) and Jacob Chicken (Chris Newcomer) -- all faceless and wearing formal attire with yellow shoes and gloves (costume design is by Ann Hould-Ward). They tote a ton of baggage (which the townsfolk symbolically carry around and use in movement by choreography by Graciela Daniele) and seem grateful to be enslaved. Claire is willing to forgive the town for their part in a trial that had forced young Claire to leave Brachen in disgrace. We discover she already found a solution for the butler and eunuchs, who were participants. She will give the town the money it wants -- and even include a bonus for each resident, she generously announces, but there is one catch. Claire is willing to trade the money for the life of her betrayer, Anton. As she straddles the fine line between love and hate, she reveals plans to keep him near by carrying him off in a shiny black coffin she has stored at the bottom of her luggage pile. While the townsfolk think about her offer, and try to see whether anyone is willing to pull off the dastardly deed, Claire and Anton reminisce about their lust-filled youth (which we already have witnessed -- very graphically-- in the show's opening scene as John Riddle (who has an outstanding singing voice in his Broadway debut) and graceful Michelle Veintimilla play out the younger selves of the old couple). Doyle and Daniele deftly combine their direction, along with Tony-Award-nominated lighting design by Japhy Weideman, to create effective sequences simultaneously shared by the older couple in the present and their younger counterparts in their memories. Doyle has the young couple sitting on the coffin, twirling it around in nonchalant fashion with their feet, as though it's some kind of joy ride, while being totally unaware of the significance it will play in their future. Scott Pask's looming and depressingly brooding sets add to the other-worldly feel of the show, which examines the depths to which people will go to extract revenge and satiate their greed. Those yellow shoes and other props in that hue come to represent gold's influence. It's odd, perhaps not fully comprehended, but interesting. And any time we get to hear a Kander-and-Ebb score, I'm happy to pay a visit to the theater. Well, here's the press release quick condensed version: Doctor Zhivago stars Tam Mutu making his Broadway debut as the passionate Doctor and poet Yurii Zhivago, Kelli Barrett as the alluring Lara Guishar, Tom Hewitt as the cynical bourgeois magistrate Viktor Komarovsky, Paul Alexander Nolan as political radical Pasha Antipov, and Lora Lee Gayer as Tonia Gromeko, Zhivago’s devoted wife, in a cast of 32. It is an epic romance, revolving around the search for love during the final days of Czarist Russia, the First World War and the chaos of the Russian revolution. Raised as an aristocrat, Zhivago is a political idealist, physician and poet whose life is tossed by the tides of history as he is torn between a life with his devoted wife, Tonia Gromeko and the passionate and mysterious Lara Guishar. Zhivago however, is not alone in his yearnings for Lara, and must compete with both revolutionaries and aristocracy alike to win the heart of the woman he cannot live without. Few, really, and that is perhaps why the show received no Tony Award nominations and has posted an early closing notice for this Sunday. Lots. This was so bad, it was funny, and I actually laughed out loud a couple of times, not exactly what you'd expect when the soldiers arrive..... The woman next to me was laughing so hard she was snorting. Adding an unmemorable score (and let's sing about every single emotion and thing we possibly can and hold belting notes as long as we can, as often as we can) to what I already find to be a pretty boring story, didn't help. Hokey-sounding lyrics, creepy looking projections and an amateurish performance by Barret (whose facial expressions and lower register notes evoke memories of Carol Burnett at her over-dramatic, comedic best in musical parodies). At moments I thought I had tuned into one of those over-the-top Spanish soap operas, only this one wanted to be in Russian. Probably the worst show I saw this season. The show features scenic design by Michael Scott-Mitchell, costume design by five-time Tony Award nominee Paul Tazewell, lighting design by Tony Award winner Howell Binkley, sound design by Tony Award winner SCK Sound Design, projection design by Sean Nieuwenhuis, hair and wig design by Charles G. LaPointe, special effects design by Greg Meeh, fight directions by Steve Rankin, orchestrations by Danny Troob, music arrangements by Eric Stern, with musical direction and supervision by Ron Melrose (full disclosure: I once produced a show of his).